At NuCypher, our favorite way to engage with the community is through hackathons. Seeing participants build well thought-out and technically impressive projects give us a sense of meaning and progress while providing valuable feedback for us to continue #buidling NuCypher. 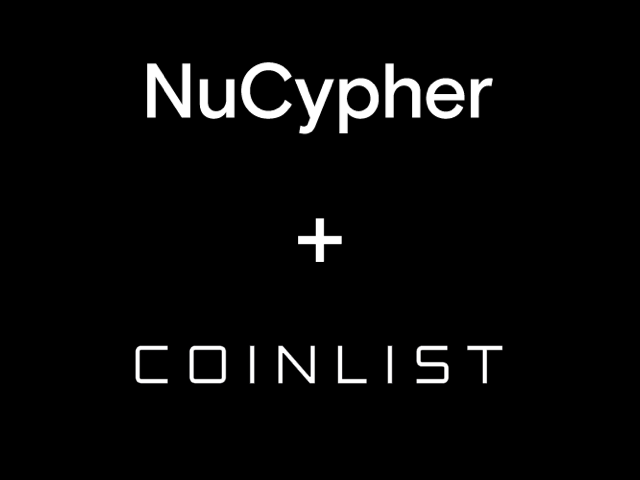 With that in mind, here is the official announcement and signup details for the NuCypher + CoinList Hackathon! The NuCypher + CoinList Hackathon will commence on March 11 and run for two 14-day periods (sign up here!). CoinList recently hosted the successful 0x Hackathon and we couldn’t be more excited to work with them. The NuCypher Community knows how we throw down in the hackathon space, but we want to recruit new builders into the world of Privacy Preserving Technologies. We think between our existing community and CoinList we’ll reach plenty of new builders and see some awesome projects! If NuCypher is new to you, give our Mission Statement a glance and you’ll learn that we’re a dedicated team working to build the privacy layer of the decentralized internet. We envision a society in which every individual can assert their right to privacy. One which is fundamentally more free, robust, and equitable. We believe that unconditional privacy is a fundamental human right, and NuCypher was founded to empower individuals to assert that right in the digital age. We build the tools and infrastructure to protect this right by combining new advances in cryptography with decentralization. If this is something you align with — then come join us on a journey to build the future of privacy. 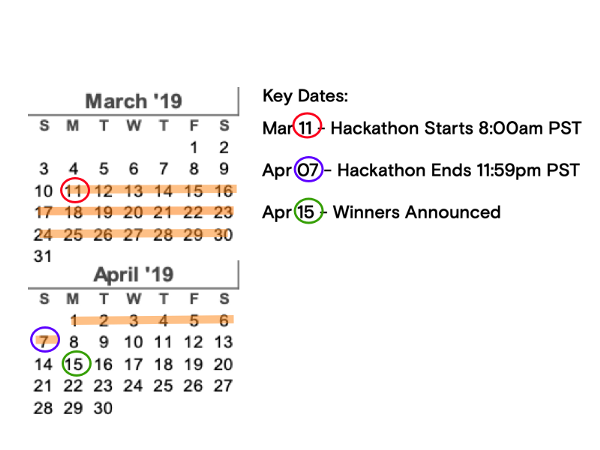 The NuCypher + CoinList Hackathon will commence on March 11 and run for four weeks. Track 1 will be dedicated to building DApps with NuCypher. Track 2 will be dedicated towards building tooling for NuCypher. Both tracks will start March 11th, 8:00 am PST and projects must be submitted by April 7th, 11:59 pm PST. The winners for both Tracks will be announced on April 15th. We’re pumped to have such a well rounded and knowledgeable list of judges to review the submissions. The judges include Stefano Bernardi (Aragon & Token Economy), Richard Burton (Balance), Jake Brukhman (Coinfund), Victor Radchenko (TrustWallet), Amy Sun (Sequoia Capital), Robbie Bent (Ethereum Foundation), Lasse Clausen (1kx Capital), and the NuCypher community for the People’s Choice Award! Here are some ideas we’d like to see built on top of NuCypher. But don’t limit yourselves to this list: we’d love to see what you come up with on your own! Documentation — our documentation portal for NuCypher. Check here for installation instructions, code examples, and more. nucypher — our keystone project, a layer 2 access control network that lets you manage private data in your DApp. pyUmbral — the reference implementation of our threshold, proxy re-encryption scheme that powers the NuCypher network. It’s a low-level cryptographic library that’s great for prototyping stuff. NuFHE — starting to get more futuristic, NuFHE is our GPU-accelerated fully homomorphic encryption library that lets you compute on encrypted data. We use it to #buidl fully homomorphic smart contracts and other cool proof of concepts. OBDX: Submitted by NuCypher and NICS Lab, OBDX placed Third in the first round of the MOBI Grand Challenge. OBDX allows a vehicle with an onboard diagnostics (OBD) device to output data in an encrypted form to whomever the data owners chooses. Assume you have a vehicle with an onboard diagnostics device. At some point in the future, you may want to share this data with an Insurance company perhaps for reduced insurance premiums or to resolve a dispute regarding an accident that you are involved in. NuCypher allows this to be done in a performant manner and such that the data owner maintains full control over who can and can’t access the data. CypherPress: A framework that lets you easily build decentralized databases. It provides a simple way to spin up and configure a white-labelled permissions UI. Since NuCypher is a developer tool, it requires some technical wrangling to understand/use and CypherPress is a promising attempt at making NuCypher easier and more accessible (think WordPress). NuVault: A VueJS frontend that allows users to encrypt secrets they can share with other agents, without decrypting or exposing either parties’ private secret keys. Encrypted data views are stored in IPFS for later decrypted consumption. Trustless.Health: A decentralized and transparent platform for machine analysis of medical data. They leveraged the NuFHE library to analyze encrypted DNA sequences without compromising user privacy. Their technical achievement was massively impressive — the team built a WebAssembly interpreter with support for fully homomorphic encryption. In the rust-example directory, they show how a DNA analysis model written in Rust is compiled to WASM and then executed on encrypted input data using fhe-wasm! Keep your privacy with you: Allows arbitrary EC arithmetic to be used on mobile devices with good speed and without a mess of C/C++ integrations. py-fhe-evm: An experiment integrating the NuCypher FHE library as a type of EVM into the Py-EVM code base. Whistle: A DApp that empowers individuals and whistleblowers who live under the constant fear of death, to utilize the decentralized blockchain and store encrypted data using a unique combination of heartbeat transactions and the NuCypher network. This automates decryption of the data upon the death of the individual, acting as a dead man’s switch. Sputnik: Sputnik is an assembly language and interpreter for Fully Homomorphic Encryption. It was used to execute the first ever fully homomorphic smart contract at ETHBerlin on September 9, 2018.
proxyChat: Other chatting applications rely on a server as a “Trusted” key manager. This server becomes a single point of failure, and if the server manager ever decides to become dishonest, the privacy of the entire system is compromised. We felt like this idea required NuCypher to guarantee that malicious servers would not have the power to spy on its client’s conversations. We suggest you checkout out nucypher.dev/hackathon and join our Discord server where our team works. Use it as the main forum for questions and to communicate directly with the NuCypher team. All official announcements will be on Discord and Twitter. Good luck and we’re excited to see what you build!